Ok I know I told you I don't like hurdling around a bird with lots of other birdwatchers or photographers. 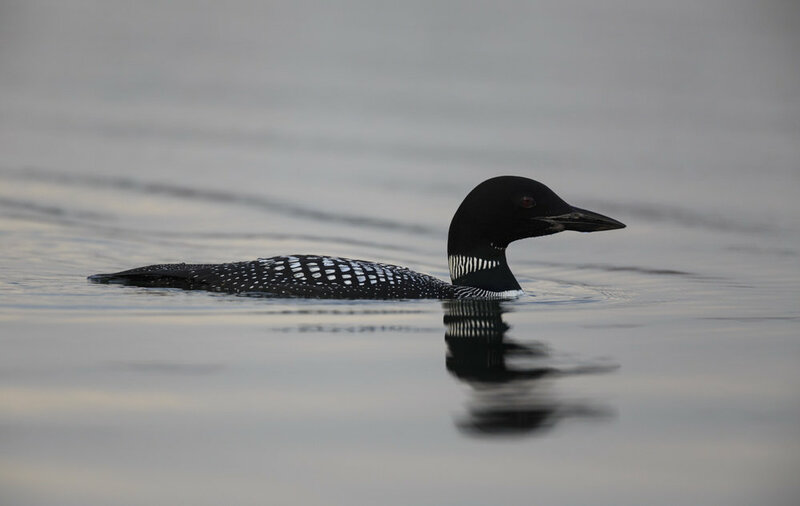 But last week another visitor from the north was close to my home, the great northern loon (Gavia immer). All members of the loon family are intriguing to me with their spooky sounds. So as the great northern loon was close by the temptation became too much. Too escape the crowd though I decided to go at sunrise and this was a great choice as I was the first to arrive. Shortly after arriving I spotted the bird whom was swimming and hunting for fish close to the shore. After almost two hours enjoying the relative quietness of morning and the loon with two other birdwatchers more birdwatcher came. So as the crowd became larger I decided to leave. As the great northern loons do not make much sound out of the breeding season I haven’t heard the spooky sounds. Nevertheless I did had a great time watching and photographing the bird. 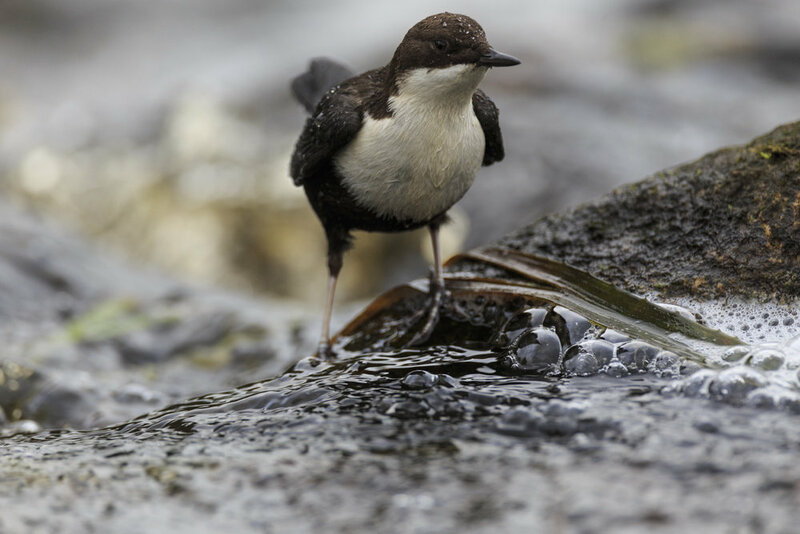 Whilst I was up north last weekend I read a blogpost of Aaldrik Pot at natuurspoor.com about the White-throated Dipper, Cinclus cinclus. For those whom understand Dutch check it out! Too my surprise he spotted one a day before very close to where I stayed. Although I'm not a fan of flocking around a bird with lots of other bird-spotters I could not let this opportunity go. So, I packed my gear and head out and what a joy I had. The last two weeks I was struggling with my photo archive. Like probably most photographers I use Lightroom and it suddenly didn’t want to open my catalogue. For the non-lightroom users a catalogue is a file that holds all the information of my archived photos. Luckily, I did have backups so I could get back to business right again. But to prevent this of happening again I have changed my workflow to hopefully a safer and more glitch proof system. As more photographers and photo enthusiasts probably stumble up some of the same problems I thought I share my experiences from over the past years in this blog. Everybody who takes photos or videos knows that storing your precious results takes lots of digital space. The same applies for my archive that contains over 10.000 photos. This probably is not the biggest number of photos but still it takes approximately 1 terabit of hard disc space. The storing part of such a number of photos is probably not the biggest challenge as hard drives come in all sorts of sizes and prices. So, with some effort you soon will find one that suits your needs. The biggest trouble for me was, how too backup the whole lot and how to keep your catalogues “clean” so they don’t start to stutter?! The need of backing up my images I had already learned the hard way after a major hard disc crash years ago. Another time I also learned not to rely on techniques that are only used by one manufacturer. In this case I thought I had I good backup using a NAS with multiple drives. The trouble came when the NAS itself crashed. In my hopes to retain my backup I went to the shop and asked for help. The problem was the manufacturer stop making this particular NAS and due to the manner the hard drives were formatted they could not read the drives. Well that sucked. Especially because my main drive crashed before I had the chance to complete a new backup. So, since that crash I use two drives that are copies of each other without using any fancy format. The problem still was, I needed to backup manually. The upside of the latest glitch I had is that I now was forced to review my workflow again. Up till now it consisted out of two external hard drives, one work drive and one backup drive, both with all my photo and my catalogue file. To work with multiple computers, I used to switch the drives from on computer to another. This last part probable caused my latest glitch. After doing some research I came upon a video of Adobe with Julianne Kost whom explained her backup strategy. As she convinced me of here strategy I copied it to my workflow. Although working on two computers becomes a bit more complicated (in- and exporting catalogues) I think it is for the better. As here video explains her strategy much better as I would do I will suffice with a link to the video here. During my research, I also came by a feature in Windows I wasn’t familiar with, FileHistory. FileHistory is a feature that allows you to backup files that are on your computer automatically. So the problem of manual backups is past time, yeah! I also started to split my catalogue in more than one catalogue and this helped to speed up Lightroom as well. So for those who stumble up the same problems I hope this blog helps you. If you still have any question, feel free to ask them. Oh and of course I can’t leaf you without a new photo as most of you probably can’t bother with all this technical stuff. The photo below was the start of all the trouble and therefor already a little bit outdated as the heather is blooming by now. A little heads-up before you read. The following blog post is a little on the heavy side but I felt the need to post it anyway. From May until July 2005 I did an internship in Spain, Badalona. This is already 10 years ago and the problems with drought were already there. During my visit, I saw reservoirs that were dropped in level significantly and the most impressive thing I saw were the forest fires or the result of them. 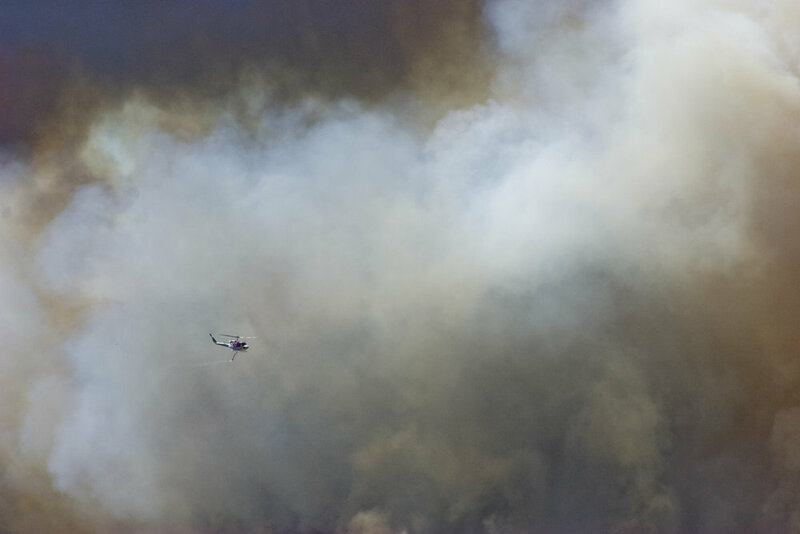 I can still remember the fire fighters who were almost daily flying up and down in their helicopters and the dark cloud of smoke above the landscape during my close encounter with one of these fires. While scrolling true my archive I stumbled on several photos of these forest fires. As the topic is still urgent and we (humanity) are still unable to turn the tide for the environmental problems that we are facing, I felt the need to share these photos with you as a reminder to us all: we should not hesitate to change. Even if climate change would be a hoax, as some prominent persons still proclaim, is there any excuse to improve how we treat our earth our home? But to end positive. I do think most of us start to understand what it will take to change. Many of us already do change their ways even as some people still deny what is right in front of them.